On 27 February 2013, His Holiness Patriarch Kirill of Moscow and All Russia met with His Beatitude Mar Béchara Boutros Cardinal Al-Raï, Maronite Patriarch of Antioch and All the East, at the Patriarchal residence in St Daniel Monastery. Accompanying the Maronite Patriarch were Archbishop Boulos Sayah, Patriarch’s vicar general; Mr. Walid Ghayad, press officer; Mr. Amal Abi Zeid, executive director of the Maronite Foundation in the World; and Mr. Salim Georges Sfeir, Lebanese businessman. 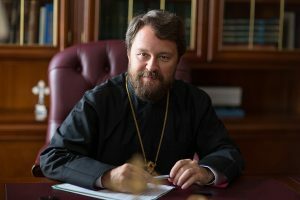 Taking part in the meeting were also Metropolitan Hilarion of Volokolamsk, chairman of the Moscow Patriarchate’s Department for External Church Relations, and hegumen Philaret (Bulekov), DECR vice-chairman. 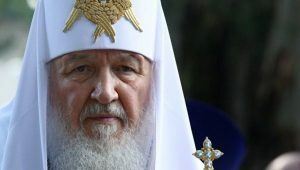 The participants were joined in the meeting by Archbishop Niphon of Philippopolis, representative of the Patriarch of Antioch to the Patriarch of Moscow and All Russia. His Holiness Patriarch Kirill warmly greeted the guest, saying: “We are happy to welcome you to the Russian Orthodox Church and Russia. I treasure up in my heart the recollections of the reception you gave in my honour in Lebanon. That remarkable meeting enabled us to discuss with you and esteemed brothers the Catholic Patriarchs, whose residences are located in Lebanon, various issues of Christian presence in the Middle East. I hope that your visit to Russia will give you an opportunity to learn about the life of the Russian Orthodox Church and talk about the situation of Christians in the Middle East. 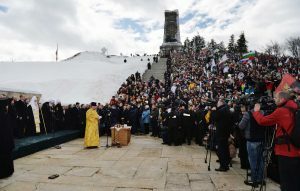 He mentioned that the delegation of the Maronite Church had attended the divine service celebrated by archbishop Arseny of Istra in the presence of numerous parishioners on the commemoration day of St Maron. The Maronite Patriarch noted the importance of strengthening good relations between the Syriac Maronite Church of Antioch and the Russian Orthodox Church. He conveyed to His Holiness Patriarch Kirill greetings from Cardinal Nasrallah Boutros Sfeir and from H.E. Mr. Michel Suleiman, President of the Lebanese Republic.